fenced in so your pet can enjoy our yard as well. There is also a patio with table, umbrella and chairs. Living Room: We have a huge wrap around couch that is also quite comfortable for sleeping and a separate fouton in a different living room. There are DVDs, games, cable TV , phone. We also have wireless internet that requires a password from us when you rent. Linens: We have everything you need to just kick off your shoes and enjoy...plenty of beach towels, comforters, pillows etc. Our home is strictly Non Smoking!! Great location and great house. Everything we needed for an easy and enjoyable stay. The pool was fantastic & house bikes were a great treat. Couple blocks to Bean Point and a short bike ride or 15 minute walk for coffee and doughnuts in the morning and tacos and ice cream at night. Would definitely stay here again. Thanks to the Snow’s! Our stay at the Anna Maria home was outstanding. The home is beautiful, comfortable, and roomy. The heated pool is great. The location is fantastic. However, the most positive aspect of it all is the ownership. Pam is the best we have experienced in making sure the tenants have a positive experience. When the refrigerator had a glitch, she and Bill went immediately into action to fix the problem. Customer service is superb. Will definitely return. 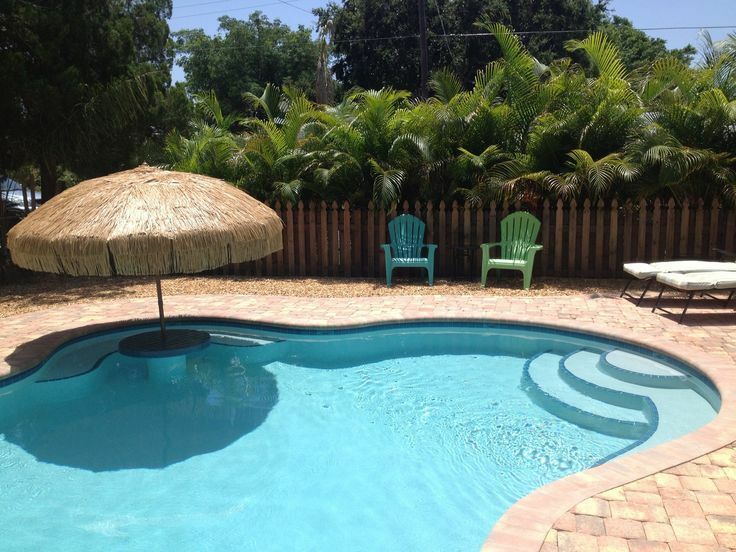 This is a wonderful, spacious and well-equipped home in an ideal location on Anna Maria Island. The north end location offers peace & quiet and is within walking distance to beautiful beaches on both the bay and ocean sides. The Rod & Reel Pier is a block or so away and offers cold beer, good food, and fishing from the pier (or just watching others fish!). The neighbors were friendly, and the owner Pam's father-in-law stopped by our first day just to check to see if we needed anything. We felt very welcomed and comfortable. The home has everything you'll need - beach towels, chairs, etc. and plenty of linens, kitchen equipment, etc. The home has lots of comfortable places to sit and visit, read a book, take a nap and relax, but the outdoor space is where you'll want to be! The pool and patio is beautiful! We were there during some record high temps, and we spent hours in the pool cooling off and using the outdoor shower. We so appreciated the opportunity to bring our two dogs with us, as well. The yard is fenced in nicely with no escape routes for our pups :) In all, this home offered a perfectly relaxing and comfortable vacation for us, and we are looking forward to returning to the Snow Beach House on AMI. Great home, fabulous pool, wonderful location, friendly and accommodating owner. Five stars all the way! Thank you so much! Glad your pups enjoyed their space as well! You are welcome anytime! We had the best time staying at the house. The house is well equipped, clean, and very close to the beach and bay. I especially enjoyed the pool. I spent the majority of our time just floating around in the pool. We can’t wait to come back! Loved the home, had everything you need. Loved the pool. Loved how close the home is to the beach. Would definitely come back. Anna Maria has strict regulations about the number of people in a rental home, number of cars in the driveway, if parking on a street...you have to have all tires off the pavement, no noise after 10p.m. Trash days are Monday and Thursday. The nearest hospital is located in Bradenton...no running around pool deck, no diving in the pool, children must be supervised at all times in the backyard pool area. Cancellation Policy states...NO refund will be given if you cancel within 60 days...if it's longer than 60 days...we will refund your money minus a $125 booking fee. We don’t refund money based on weather conditions. We only rent from Saturday-Saturday.